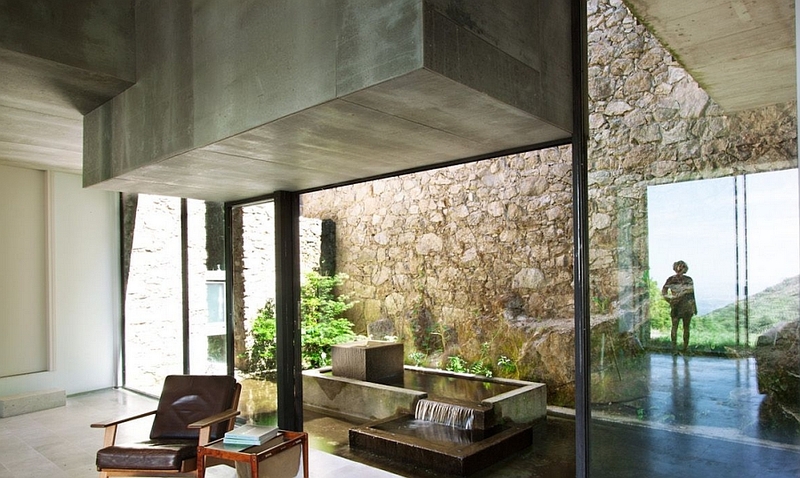 Restoration and renovation projects often bring along with them a multitude of additional design constraints. 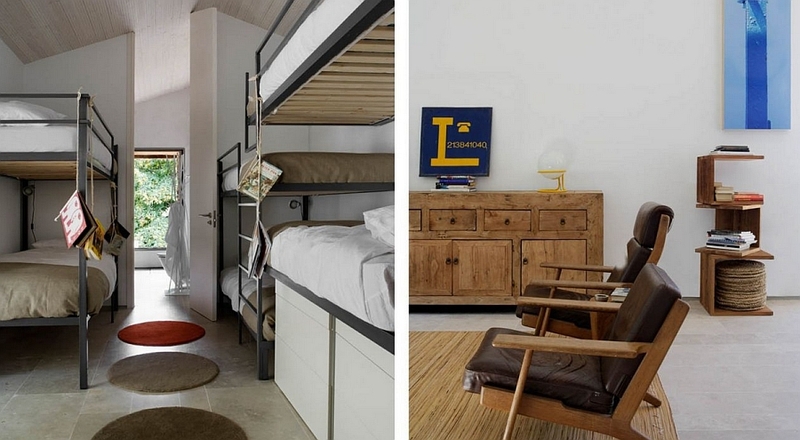 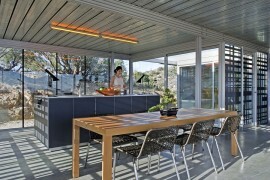 They often demand ‘out of the box’ solutions that need to combine form and function in an effortless manner. 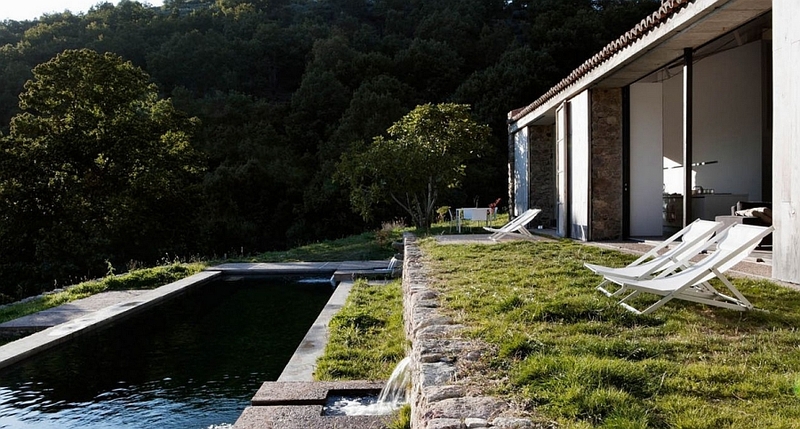 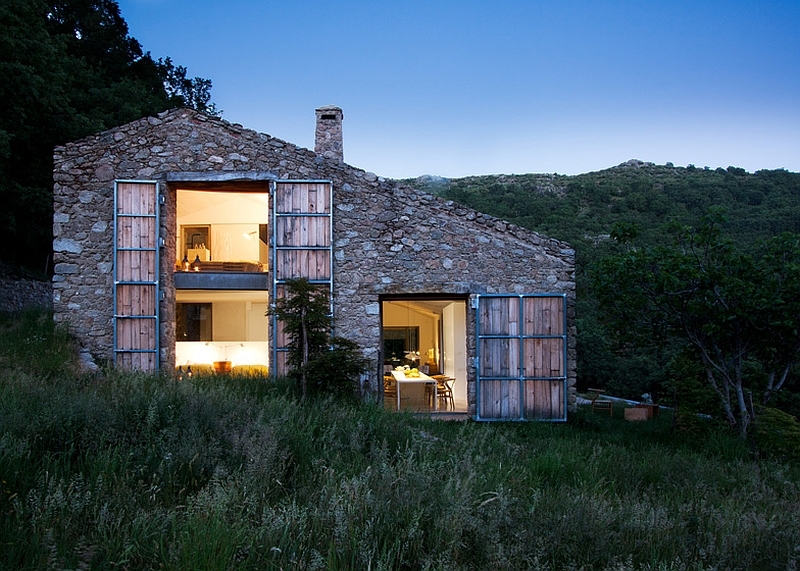 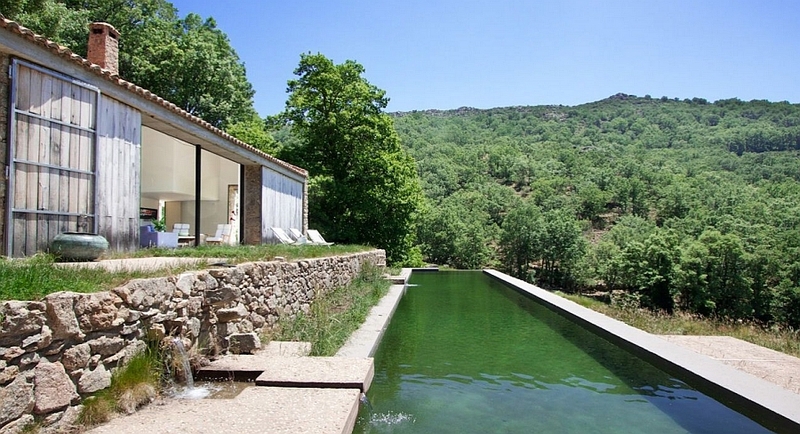 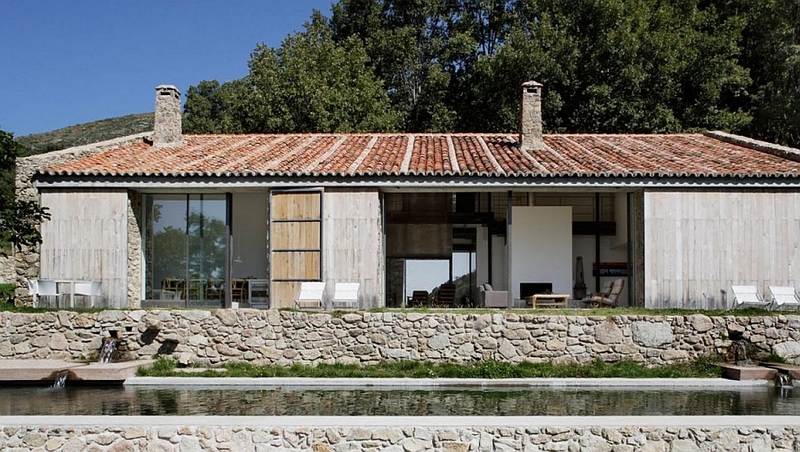 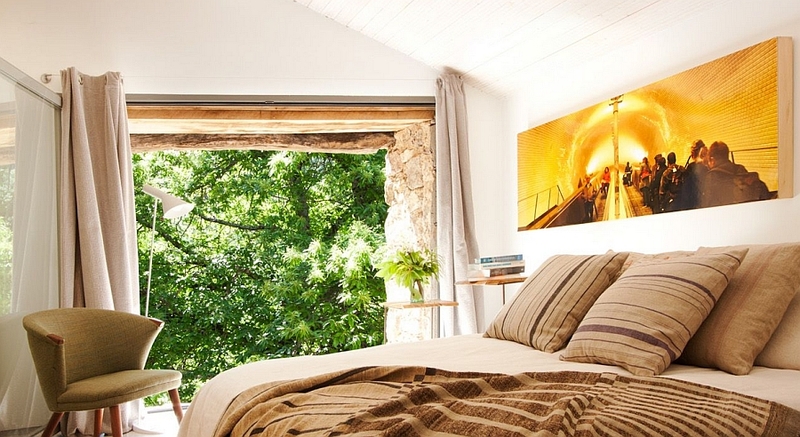 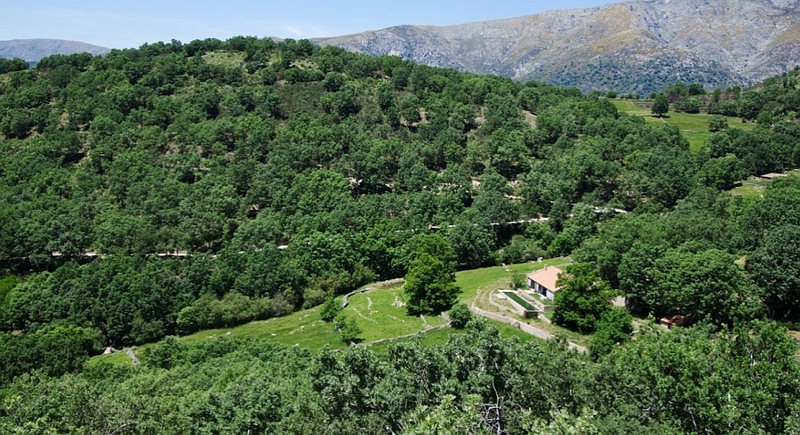 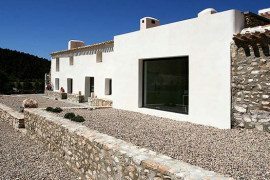 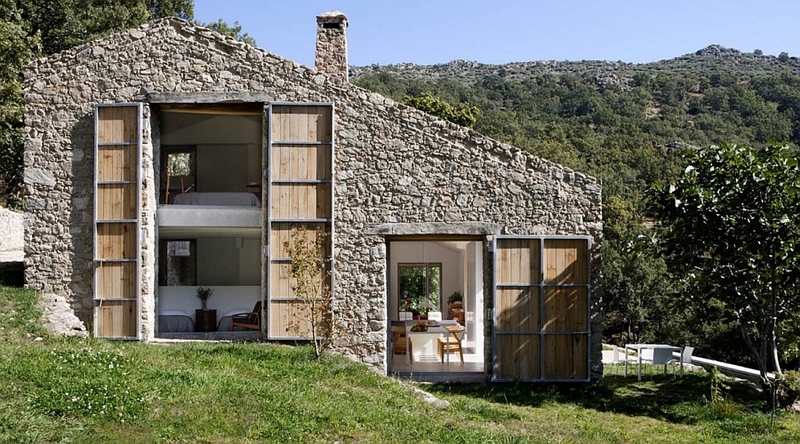 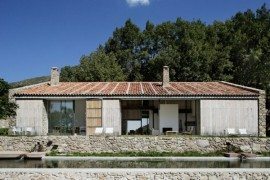 Restoring a crumbling stone stable located in lush green Spanish countryside, Ábaton Studio took up an eco-friendly approach that not only helped breathe a new lease of life into the old structure, but has also allowed it to function without depending on conventional grid power and water supply! 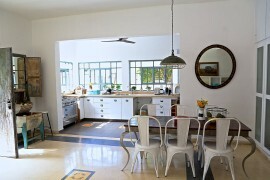 Located far away from the nearest town, the renovated home could not depend on grid connectivity for both power and water supply. 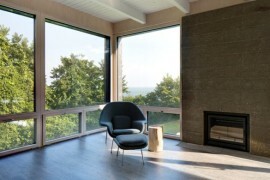 Instead of being hampered by this conundrum, architects used it as a defining feature of the home by adding passive solar heating and hydroelectricity features. 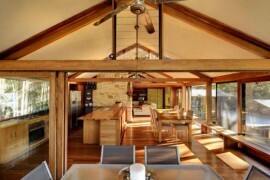 Harnessing power from the two streams that flow next to the stable and combining smart design with proper insulation, architects were able to create an eco-friendly house that uses power in a judicious and frugal fashion. 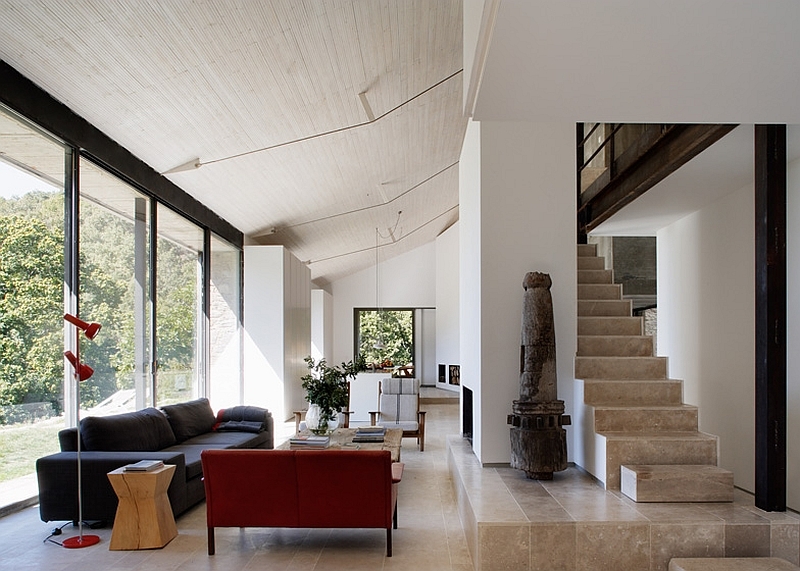 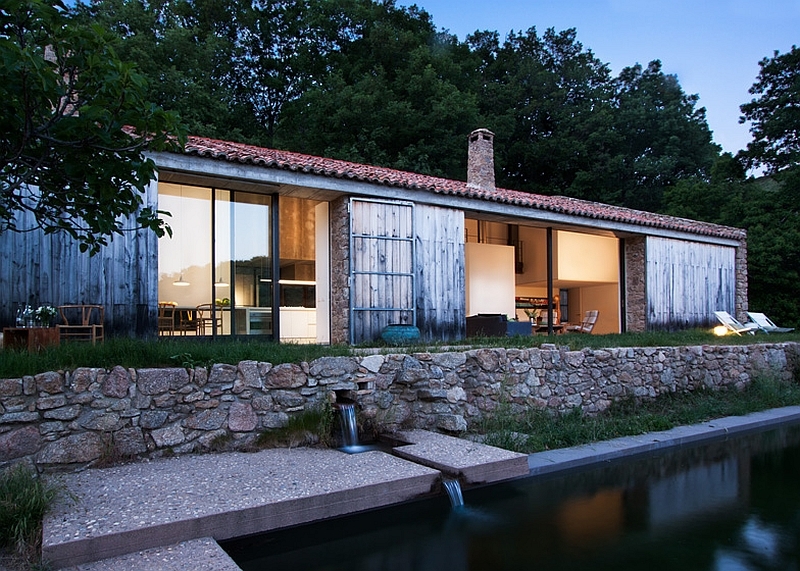 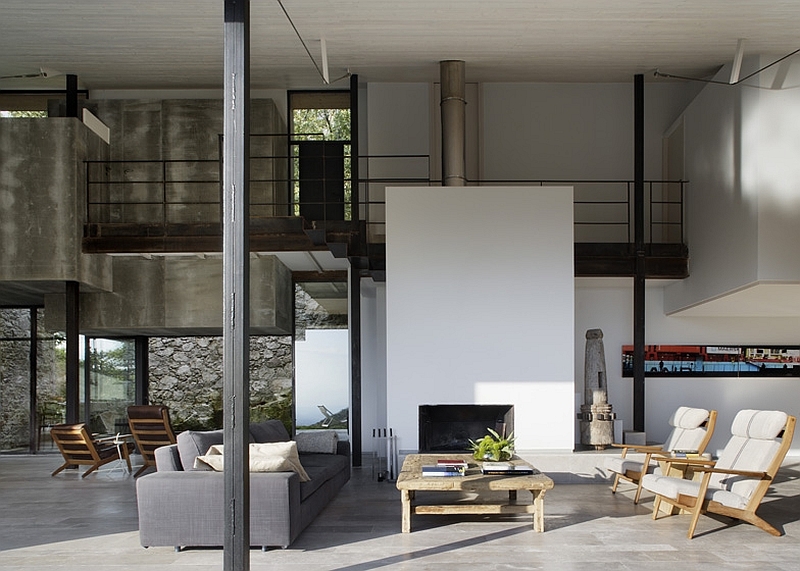 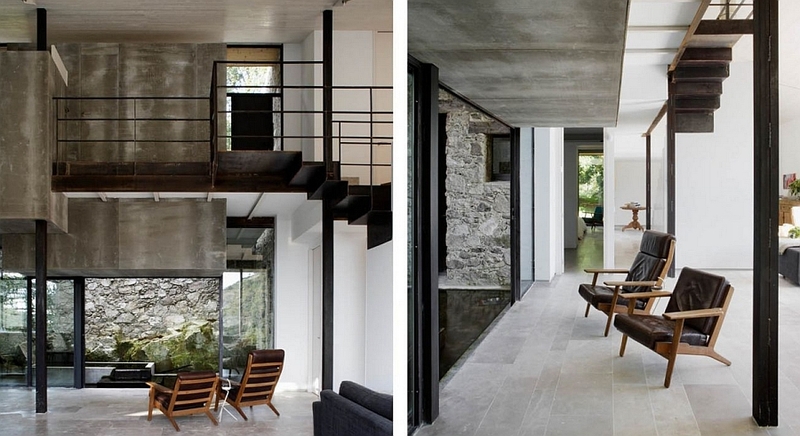 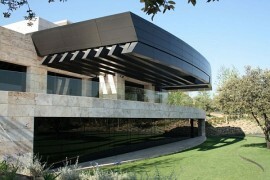 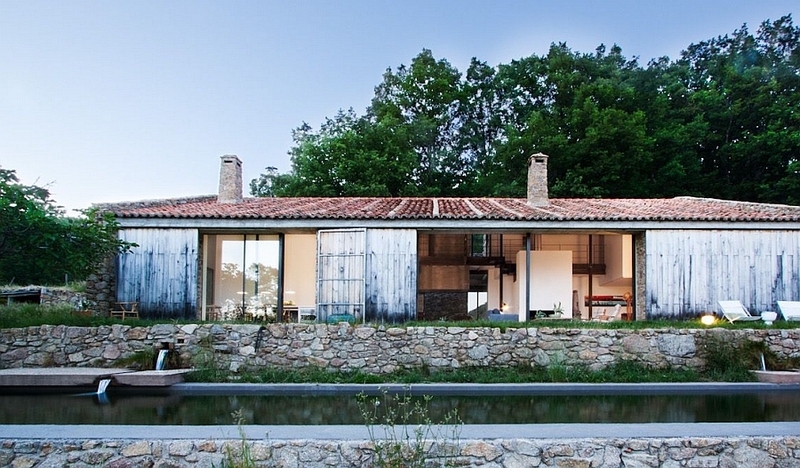 The outer structure of the home is clad in stone and timber, while the floors are draped in limestone inside. 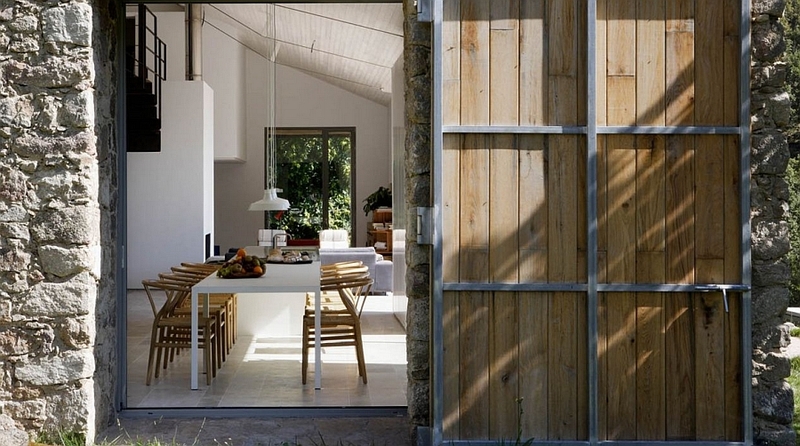 Elegant use of glass and recessed windows and doors inside the house gives it a modern feel on the interior, while maintaining the rustic appeal outside. 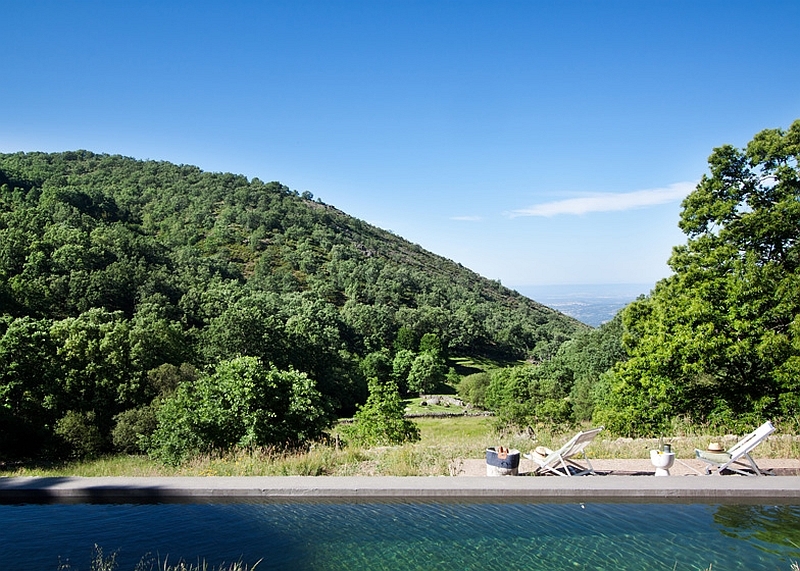 A large swimming pools that doubles as irrigation tank and the gorgeous outdoor patio ensure that the owners of the home enjoy unabated views of the panoramic surroundings. 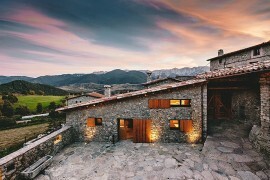 Exquisite and eco-friendly; the renovated home seems like a harmonious extension of the picture-perfect setting!